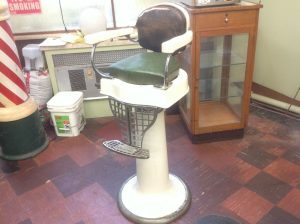 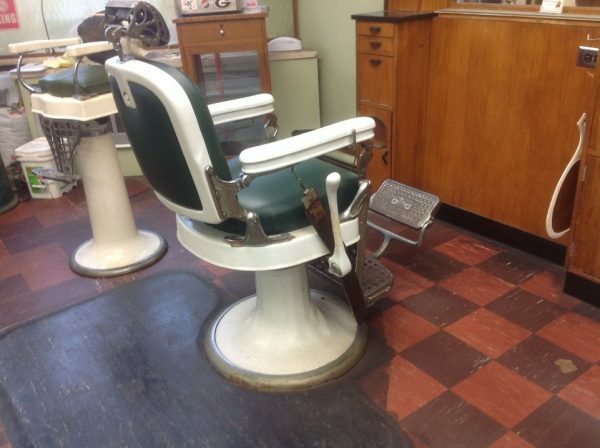 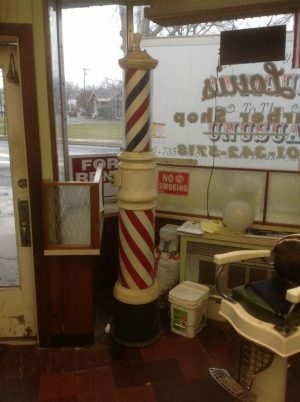 Vintage complete barbershop in as found condition. Three porcelain chairs with headrests, childs chair, four waiting chairs and poreclain upright street pole. All pieces will need cleaning and minor repairs but are working. Would like to sell as a complete unit. 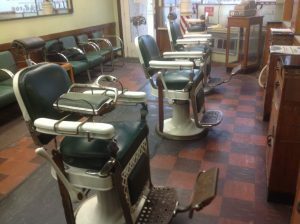 No backbar.